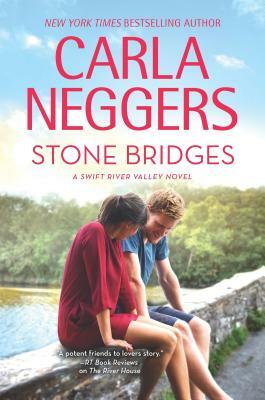 New York Times bestselling author Carla Neggers has captivated readers with Knights Bridge--a scenic New England town where families and friends experience joy and face challenges together. With its world of inns, old houses, wonderful, quirky characters, romance and adventure, it's a town you won't want to leave.Adrienne Portale has never settled in one place for long, but takes a job as innkeeper in tiny Knights Bridge, Massachusetts, to spend some time getting to know the father she only recently found. When three small boys get lost in the wilderness that borders the inn, Adam Sloan leads the search. His family ties to the town go back generations. Adrienne sees the bond that people in a small town have as they band together to find the missing children. Adam is impressed with her calm strength, but he's sure she won't find what she's looking for in his quiet hometown.Despite their differences, Adam and Adrienne discover they have more in common than they'd expected. They love to explore old stone walls and bridges, and she adores his dog. As summer bleeds into the gorgeous New England fall, the attraction between them grows, and they must decide where--and who--makes a place home.